Additional meeting room space is available on our second floor. These three rooms can be separated by partitions and each has their own entrance. When the partitions are folded back the rooms become one large space capable of accommodating up to 50 guests. The Mt. 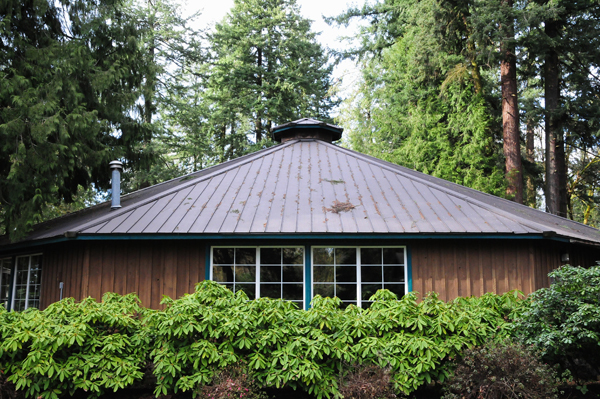 Hood Pavilion is a year round meeting and event facility conveniently located between Canby Grove’s two lodges (The Riverfront Lodge and the Plaza Lodge) and adjacent to the River Walk Cabins and campfire area. The octagonal shaped building is 76 feet in diameter, with large arch roof supports and seats up to 450 people. 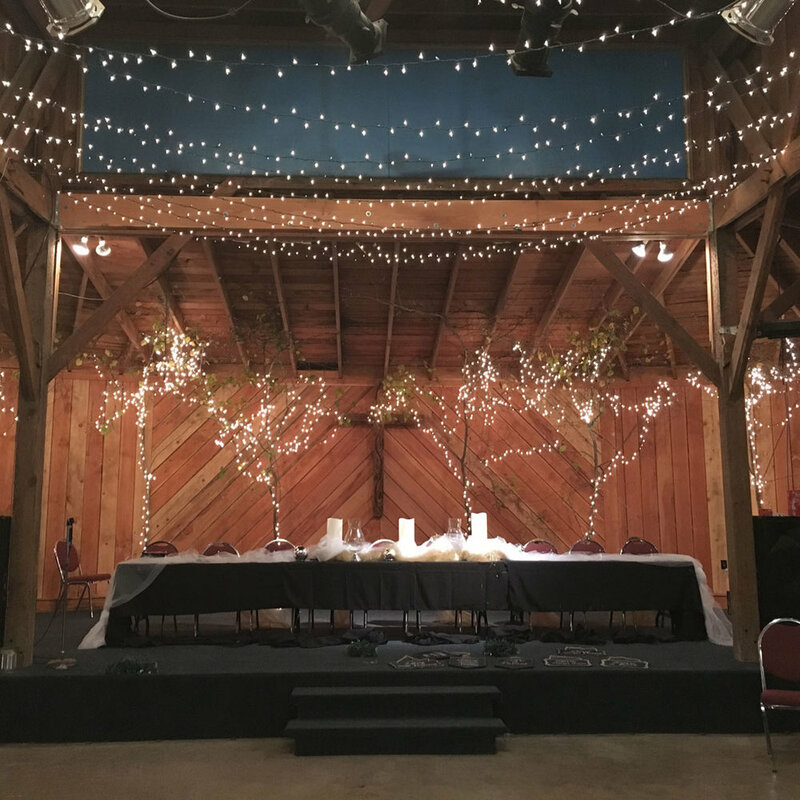 The facility is equipped with a large west facing stage, two 60” mounted television screens a complete sound system with elevated mixing board station and a large wood burning fireplace. The Fireside Room meeting facility and lounge offers a cozy environment for small to medium sized groups of 50 or less. Conveniently located in the Plaza Lodge, the Fireside Room provides easy interior access to the dining hall, Evergreen Room and upstairs guest rooms. True to its name, it also offers a large wood burning fireplace, comfortable lounge style sofas and chairs, a large wide screen TV and a lighted staging area for speakers or small performances. 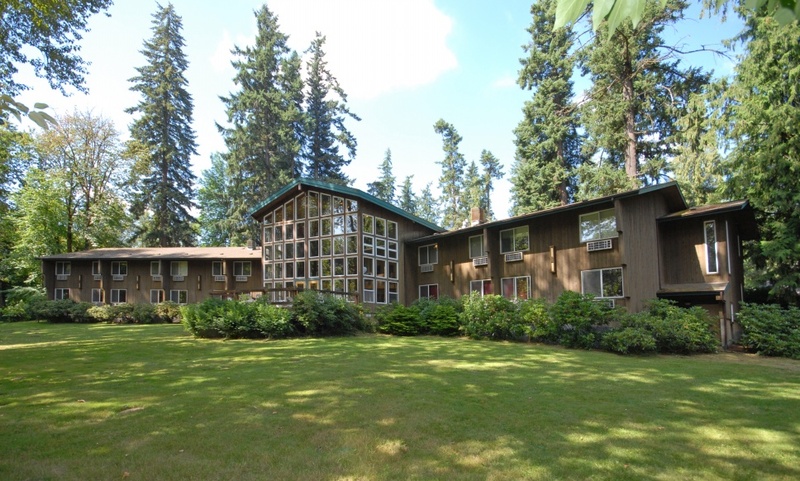 The Evergreen Room is a versatile multi-functional room located in the Plaza Lodge. The room can be used as a private dining room for smaller groups, an extension to the main dining hall for larger groups or as a meeting and event room for up to 40 people. The Evergreen Room also provides easy interior access to the Fireside Room and the Plaza’s 2nd floor guest rooms. The first building erected at the Grove in 1928, this large barn-style venue can be used as a concert hall, an event center, an indoor recreational facility or as a large meeting hall for up to 500 people. Equipped with a large stage, lighting grid and sound system, this facility has hosted concert performances, theatrical plays, dances, school events and church services throughout the years. 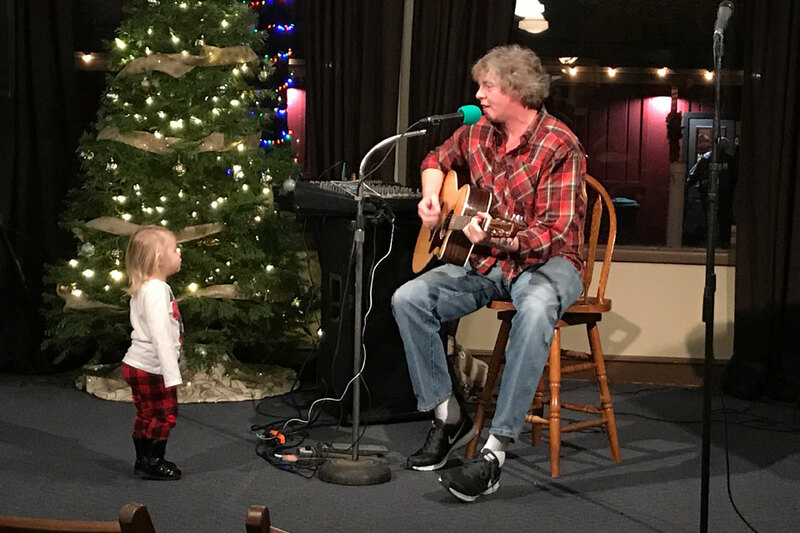 Conveniently located just steps from the Plaza Dining Hall, Fireside Room and Evergreen Room, The Tab becomes a great “main stage” venue for large festival events desiring to utilize one or more of these facilities. The Mt. 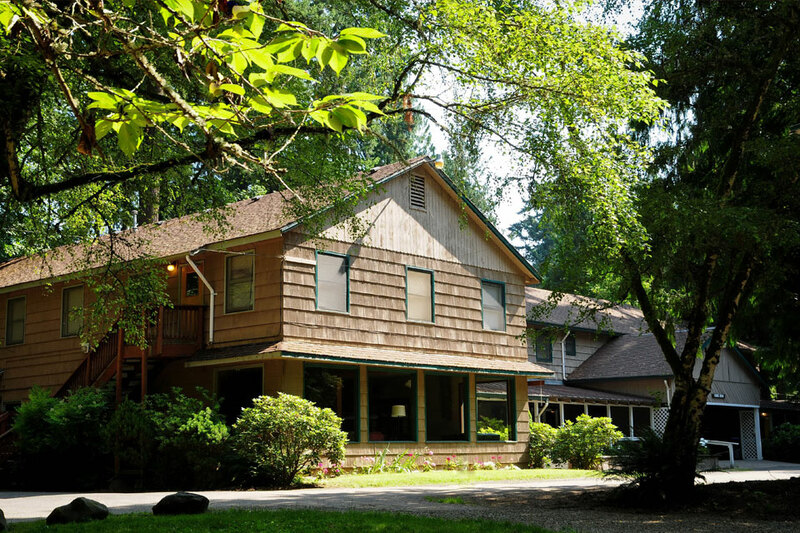 St. Helens Pavilion is a year round smaller size meeting and event facility conveniently located between Canby Grove’s two lodges (The Riverfront Lodge and the Plaza Lodge) and is adjacent to the Recreation Field and basketball courts. The octagonal shaped building is 30 feet in diameter, with arch roof supports and seats up to 30 people. This space also functions well as a camp headquarters facility and is currently being used in that capacity by outdoor school. Located in the middle of the Woodland Cabins section of the property, these small cabin-style meeting rooms can comfortably accommodate up to 15 people. They are often used as “break-out” rooms when larger meetings split into smaller groups. If you'd like to learn more about any of our meeting spaces or arrange a visit to check out our facilities and spaces in person, contact us today. The Grove is lighting up the Christmas season with a fun filled festival of lights, music and activities for the whole family! Enjoy tasty food and live music all evening long. Toast marshmallows, win prizes and shop for unique gifts. Christmas at The Grove is a great way to start off your Christmas season! So come on out and bring your family and friends.